Once you've had a chance to test the new firmware with at least one ride please could you complete this survey? Thanks for your help and please comment on here if you have any questions! I have been used the beta version during this weekend. Everything went well. I got some issues. Every time I try to edit my ride (change 'mood face' or change title of the ride) the app crash. Even if I kill the app and reopen I got the same issue. (Android Phone). For the rest, I was very happy to enjoy my ride with the Beeline! Thank you so much for testing this for us!! We'll check out that bug :). Both my bikes have steel frames, and one is a recumbent bicycle for which the standard calibration method doesn't work at all, so I've signed up to this and and am hopeful that it'll work! Will report back when I've had the chance to try it. How do I make sure I'm using the Beta version? I followed instructions but didn't noticed any difference. To Hervé: if you are using an iPhone, a beta app has a red spot to the left of the app icon name. Ooops sorry, I forgot to say I'm on Android. My bad. 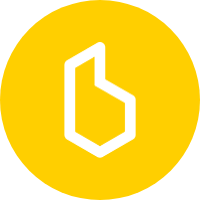 If you're on Android, one way to tell if you have a Beta version of the Beeline app is to fire up Google Play, which tells you if you're a Beta tester for any Android apps and if so which ones. 1. Will the cap compress down to approx. 5mm in height? The space where I would like to position it is rather tight and I'm concerned that I would not be able to loop it through the gap between the handlebars and the frame. 2. The Beeline compass I am looking to purchase is used and I don't know how old it is -- does the manufacturing date for these tests matter? The other question that came up is around the compass function ~ Can the Beeline be used as a compass only, indicating direction (N,S,E,W) without displaying turn direction or distance to destination (since no destination would be input)? I am not officially with Beeline, but I have done the same as you, bought one used for use on a motorcycle. If you turn on the Beeline without pairing it with a phone it defaults to a standard compass. I find the 'unassisted route' option best at the moment (although I have only just joined the beta test, and haven't installed the beta software, as yet. The bicycle attitude towards chosen roads is not quite right for motor vehicles, but, I am going to actually follow them a bit more over the next few days, when I am going home from work. I also managed to find a place on my Honda CBR6 where I could squeeze the cap/holder but, a more 'motorcycle' friendly bracket/holder would be of interest.